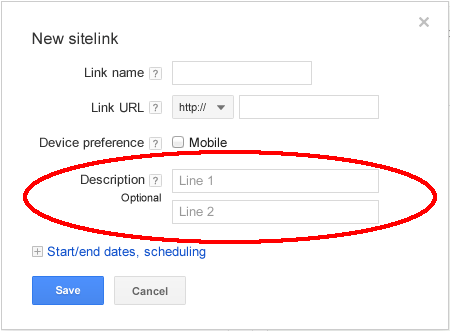 Google announced on the AdWords blog that you can now "nominate specific text for your sitelink descriptions" within your AdWords ads. To do so, you need to have upgraded to the enhanced campaigns. Seems like this is added control that is welcomed by Google AdWords advertisers. Previous story: Did You See The AdSense Pong Game?